Harry “Don” Wilson, of Norman, joined his Heavenly Father on December 5, 2018 at the age of 86. Don was born September 21, 1932 in Norman, Oklahoma to parents Bud and Ollie Wilson. Don proudly served his country in the U.S. Air Force and later worked as a Postal Carrier for the United States Postal Service. He enjoyed fishing and was a huge fan of Colorado Rockies Baseball. 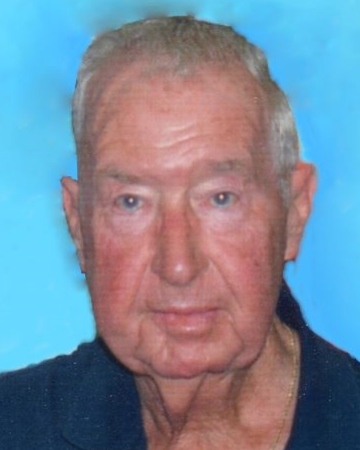 He loved his family dearly and was a devoted husband to Shirley Wilson, his wife of 63 years. Don was preceded in death by his parents Bud and Ollie Wilson; and grandson, Matt Wilson. He will be greatly missed by his wife Shirley, of the home; children Connie Heald (Jerry) of Oak Point, Texas, and Steve Wilson (Pam) of Rio Rancho, New Mexico; grandchildren: Brad (Amber), Barry (Tracey), Blair (Chris), Jennifer (John); and 7 great grandchildren. The family requests memorials be made to the Oklahoma Medical Research Foundation, 825 NE 13th St., Oklahoma City, OK 73104, or to the charity of your choice. Visitation will be 4pm-6pm Monday, December 10, 2018 at Havenbrook Funeral Home. Private memorial services will be held at a later date. Online condolences may be shared at www.havenbrookfuneralhome.com.